I’m on my way to Africa, and unashamedly excited about it. Not the South Africa version of Africa, which is a sort of primer for Europeans wanting to experience the ‘continent-lite’, or (in my case) one of the best places in the world to shoot TV commercials. I’m pretty sure that, while I’m ignorant, I’m no more so than the next man. The Africa I’m heading for is almost entirely unknown to me, my preconceptions assembled flat-pack from the TV or internet, or those smaller articles toward the end of The Economist where, as you run out of time or energy, you skip more than you devour. I have two specific Kenyan preconceptions that nestle alongside Born Free and Kate ’n’ Wills getting engaged over there, launching her into a career gracing commemorative mugs the world over. First there was a decidedly awkward post-election revolt a few years ago when thousands of people took to the streets in protest; more recently, a bunch of murdering Islamic fundamentalist thugs shot up a shopping centre. The Kenyan Special Forces and police then got into a firefight over which of them should go in and save the day. Farce following tragedy. The Foreign Office advises against any travel by British nationals within a 60-mile limit of the border with Somalia, as well as recommending a whole range of jabs and pills to ensure visitors’ continued wellbeing. It also offers a very matter-of-fact warning about the dangers of car-jacking in downtown Nairobi at night, but, intriguingly, no practical advice whatsoever. As if to add a further level of stereotype, the Swissair Airbus we’re on is scrupulously clean and prompt, with airline food that belies the description. It’s also full of US missionaries on their way to save the Godless in this particular corner of Africa. They are an earnest bunch, with short-cropped hair, and well-scrubbed faces betraying little of the 14 or so hours for which they must have been in transit so far. If you were hoping for some light conversation between Zurich and Nairobi, you’re out of luck. Their chat has the intensity of a first-time marathon runner taking you step-by-step through their training plan. If you were thinking this might be the flight on which you’d finally break your duck in the mile-high club, think again. There’s no relief to be had out of the window either. Far below it’s brown and arid. The map on the seat-back TV shows straight-line borders, often at right angles to one another, bereft of even a river or mountain range to divide one country from another. So, Africa-bound, and coiled with excitement, I have very little idea of what to expect when we all arrive – in every aspect bar one. I know that Unilever will have beaten me to Kenya, and be spreading its altruistic doctrine of life-improvement by hygiene. Its brands will be there; the names may be different, but the logos will be familiar. Vodafone will also be there, waiting to connect me back to the rest of my world through its stake in the government-owned mobile network. Thanks to Vodafone and operators like it, Kenya’s youth have grown up connected to the outside world. No doubt Facebook, Google and Twitter will be on the ground to offer assistance, possibly even on the once-familiar and comforting interface of a pre-loved Nokia phone. SABMiller is undoubtedly there, too. Unearth the most stylish Italian restaurant in Nairobi, and you’ll probably find cold Peroni Nastro Azzurro, right across the street from the inevitable Irish bar serving Guinness, courtesy of Diageo. I could go on, but you get the point. 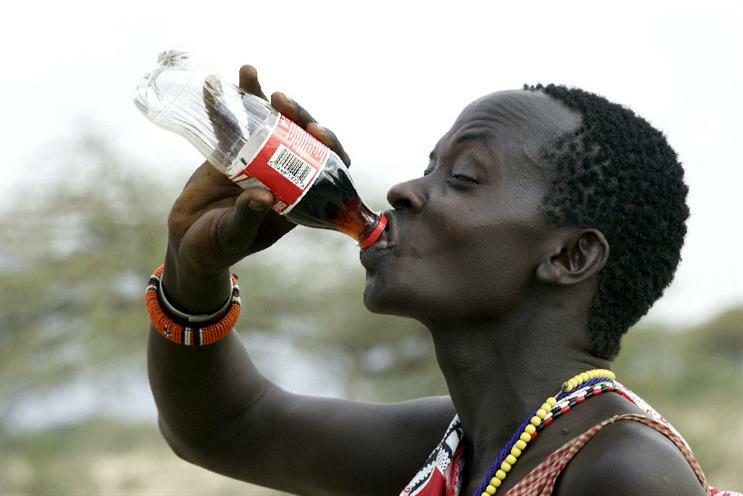 Whatever else we find in Kenya, I know the marketing men and women will have got there first, and colonised the country with their portfolios of global brands. Different people have different positions on this, but I’d advocate that healthy competition between global brands and local champions can only be good for both sides, especially when it comes to consumer brands. Besides, the shameful secret practices of evil multinationals don’t seem to stay secret for long. There is a grand alliance between activists, media and, ultimately, consumers that ensures that, for the most part, right prevails. It’s ironic that a profession adept at shaping perceptions has so neglected its own image. And there’s the rub. It wasn’t the engineers, scientists, sales guys or bean-counters who spread these brands all across the world. It was the marketers. In the past 15 years we have been spectacularly successful at spreading our own peculiar religion to every corner of the world. Any fool can ship a product to another country, but it takes real skill to know which one to ship, and then how to position, price and promote it. This is the work of the marketers. If all that’s true, where are the statues? Once upon a time they built monuments to warriors and explorers, then scientists and researchers, and latterly administrators and bureaucrats. Are the marketers next? There is one splendidly ornate room in the Foreign and Commonwealth Office in Whitehall from which, it is said, India used to be governed. However distasteful the whole concept of empire was, you have to admire the administrative bureaucracy that made the whole thing possible. It’s how I used to feel when, on a market visit to some remote part of Indonesia, I’d turn the corner and see a Wall’s Ice Cream parasol and freezer unit, with back-up generator. "How on earth do they do that?" I’d wonder. OK, if no statues, then what about kudos, recognition or even just a credit, perhaps? No? How about a widespread acceptance that marketing is a profession, not just a department? If we are indeed re-examining the principles of modern marketing, let’s not overlook our place within it. It is ironic, indeed, that a profession so adept at defining and shaping the public perception of others has been so negligent of its own image. Perhaps with the annexation of CSR by marketing, the time has come for the profession to be reconsidered, in a more positive light. After all, that grand alliance who guard the public from the evils of multinationals are often hand-in-glove with the marketers and the brands they manage. Let’s see how Kenya treats this marketer. Is market­ing for good the only sustainable future for the industry?